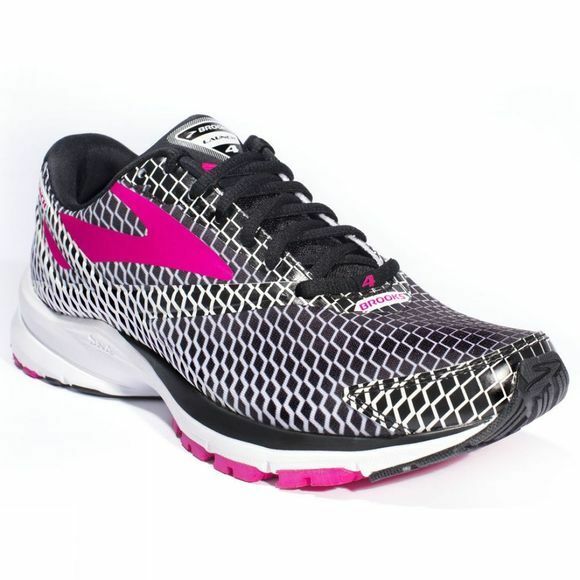 The Brooks Women's Launch 4 running shoe has been updated with extra rebounding rubber under the forefoot, a redesigned heel and a lightweight feel. The springy Launch 4 features DNA midsole cushioning to dynamically adapt to your neutral stride, an updated U-Groove at the heel for slight support to neutral runners, plus a midfoot transition zone with segmented crash pad. 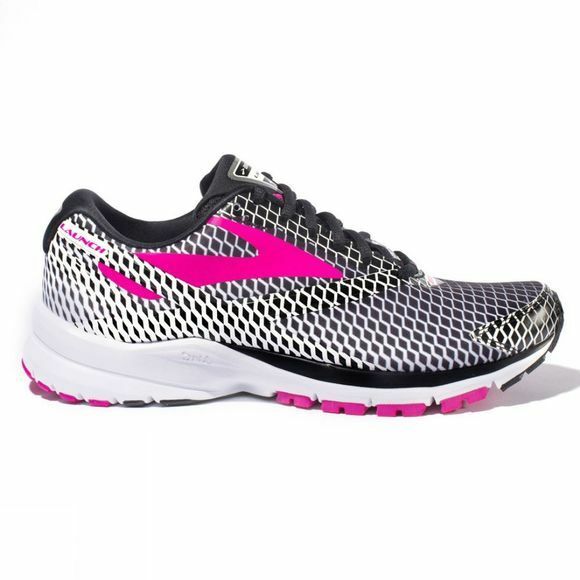 Added blown rubber gives an extra-springy toe off whilst the 3D fit print gives strategic stretch and structure, all with well-ventilated air mesh fabric.